hers for the reading: Fairy Tale Retelling? A friend of mine had her baby-sitter cancel on her this weekend, and thanks to rain, the baseball game I was planning on attending was postponed. Thus, I was free to watch her three children. And because I don't often hang out with kids without a "teen" in their age, I watched my first animated Disney movie in years (I believe I saw both Meet the Robinsons and Chicken Little on plane rides at some point). Aside from the predictable dialogue and less than stellar music, I found myself laughing. A lot. Maybe it was because kids' laughter is unbelievably infectious, or maybe it was so predictable that I laughed at the jokes both coming and going. I really don't know. And it's beside the point. Watching this movie made me think about how different Tangled is from the Rapunzel story I heard growing up, yet somehow the story manages to be both recognizable and nostalgic. Which begs the question, when does a story go from being a retelling to being a completely different story? And if it’s labeled a fairy tale, how closely does it need to stick to folklore before it becomes fantasy? In lit classes, a lot of professors like to say that there are only a handful of stories that are told over and over. You have the creation, the epic journey, the love saga, the family drama—depending on who you talk to, the archetypes are slightly different. While this might be one of those intellectual quandaries designed to make you think about what you’re reading, I mostly think it’s a cop-out to pave the way for comparative essays. Ever storyteller uses unique skills to make a story their own. How many boy-meets-girl stories can there really be? Yet each rom-com keeps us wondering how the two hopeless cases will ever get together in the end. And what more can we possibly do with man vs. man? But every time the underdogs sacrificially face an army twice their size, we always cheer when they manage to defeat their foes. Shakespeare often based his stories on mythology and local legends, and even Jesus Christ quoted past prophets and familiar allegories to teach the people in his day. So maybe a story is found more in the audience than the teller. 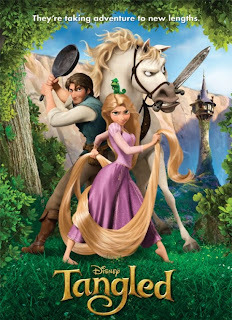 Throughout the entire movie, my friend’s 7-year-old daughter never batted an eye at the horse who acted like a dog or wondered how simple lanterns could fly or took pause at how a man could jump from a castle tower and not get hurt, nor did she once question how Rapunzel could cart around all that hair without it getting dirty, knotted or broken. What she didn’t buy into was how a tear could heal someone after magic hair had failed. The irony being that it was Rapunzel’s tears the healed the prince in the original story—the Grimm’s Brothers never mentioned there was anything magic about her hair. My young friend was shocked when I told her that was basically the only thing Disney kept from the original. 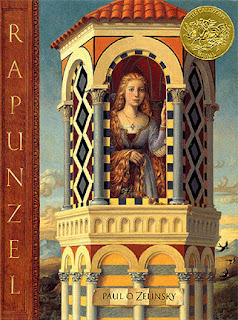 The next day I gave my friend a copy of Paul O. Zelinsky’s Rapunzel so the family could read a more scholarly version of the fairy tale. But just because it’s based more closely on the Italian folklore doesn’t make it any more valid of a story. After all, how strong can human hair really be?